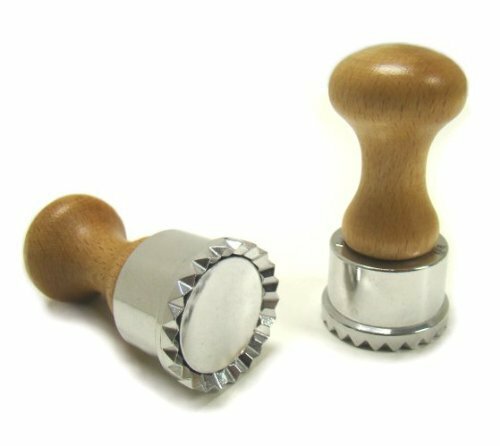 This spring loaded ravioli stamp with ejector helps to keep ravioli from sticking inside the cutter, and also helps to lend its shape to the pasta or pastry. 1.9 inch diameter and 4 inches high overall. Aluminum alloy stamp and ejector with steel inner spring and wooden handle. Made in Italy. Click the button below to add the Round Spring Loaded Ravioli Stamp with Ejector 1.9 inch Diameter to your wish list.